Today’s Perth-based minerals hopeful is diversified, gutsy and has a memorable name that evokes a sense of nostalgia, victory and a legendary football player. Hopefully it will generate the same for investors over the coming months as they look to kick some goals of their own. This ASX listed company has proved a solid track record of acquiring, developing and adding value to a range of resources projects over the past decade across Australia, and has now positioned itself to build up its value once again. 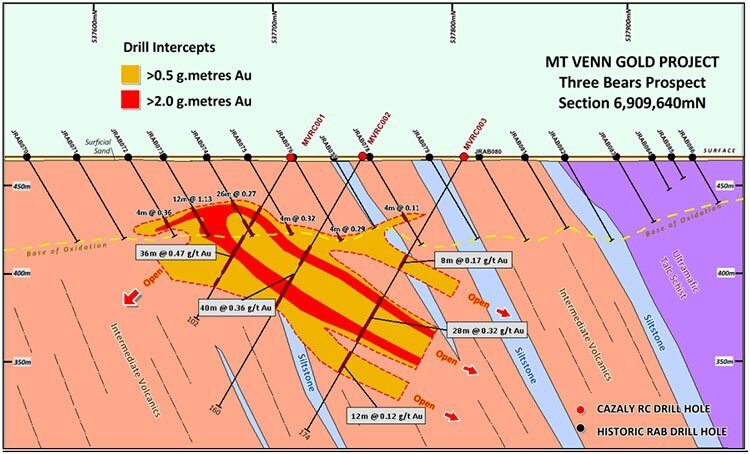 Our ASX company’s gold project sits on the Mount Venn belt, which is directly next to the Yamarna Shear – which is what Gold Road’s project is sitting on. Despite several parties taking interest in the area since the 1920s, most of the historic work focused on nickel, however, rather than on gold. As it turns out, the region contains large internal granites and favourable host lithologies that don’t require drilling into fresh rock – all of which is a similar setting to the Gruyere deposit on which Gold Road made its name. The main Three Bears prospect contains what this company believes to be a reservoir of golden potential, with identified walk up drill targets. Testing to date points to the presence of a large, wide gold mineralised system over 1.5 kilometres. And, music to our ears, there’s more drilling due to start in 4-8 weeks with the aim of hitting its Camp Scale gold targets. Beyond gold, this company has a packed portfolio of holdings spanning zinc, graphite, lithium, copper, cobalt-manganese, nickel and iron ore in tenements across the country. Of course, at the same time, this is still a speculative stock, so there is no guarantee of success here. Invest with caution and seek professional financial advice before making an investment. 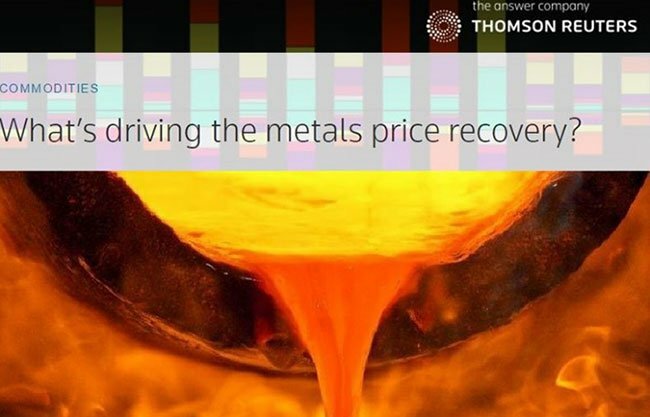 You could argue there’s no better time to be entering the metals market with so much optionality, with the entire market progressing towards greater stability and in some cases bigger highs. 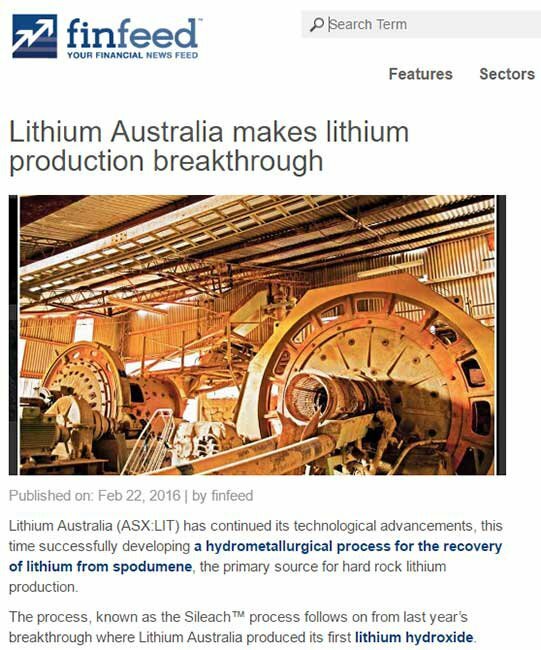 When you add to the mix the fact that this company’s package includes commodities most vital to the renewables energy revolution – graphite, lithium, copper and cobalt – things quickly start looking very attractive. CAZ will progress its projects on the back of a recent placement to the tune of $700,000, at an issue price of $0.05 per share. The funds raised will go towards developing existing projects, particularly the Mount Venn gold project. Perhaps a year ago, it may have been considered a bit of a borderline bet to delve into metals... but if that’s what you did, going against the tide, you’d currently have reason to be feeling pretty happy with yourself. That’s because the NSE Metal Index has gained about 71% since April 2016, while the S&P/TSX Global Base Metals Index is up 31% in the same timeframe. And while we have some catching up to do in Australia, in the last 12 months the S&P/ASX 300 Metals and Mining Index gained a very promising 22%. Perhaps if you had a sizeable foot in the door in one or two of these heated up markets, you’d be feeling confident. What if you had strategic plays in eight of them? With all those options there’d have to be a great deal of potential upside. 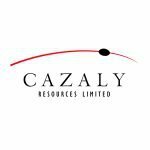 We haven’t even mentioned that only last month, CAZ announced an application for a new cobalt project Exploration Licence in NSW. The area covers several known nickel/cobalt resources across ~73km 2 of prospective geology within the New England Fold Belt. So far, the story is worth a big gold star from us — yet CAZ is currently flying well under the radar at a humble $8.5 million market cap. That could all be set to change as it progresses its primary project at Mount Venn, about 125 kilometres northeast of Laverton, WA. The biggest case in point here is that CAZ’s “Wartu Granite” area within the Mount Venn belt shows striking similarities to the geological setting of the 6Moz. Gruyere gold deposit. Given the Wartu area is virtually unexplored, but has already demonstrated large gold in soil/auger anomalies coincident with major structural and geological target positions, there’s a lot for CAZ and its investors to look forward to. CAZ’s Three Bears Prospect in the Wartu Granite area is the only prospect in the area to have been drilled to any extent, so it is no wonder the company was heavily pursuing exploration access. It was only January when CAZ’s Mount Venn Project was given the go-ahead with an exploration licence and access granted, following a green light from the Department of Aboriginal Affairs last year. January’s news ticked off a final hurdle and CAZ sprung immediately into action. By the end of that month the drill-bits were spinning at both the Three Bears prospect and the Rutters prospect – and the maiden drilling programme was well underway. As soon as February, CAZ was releasing positive news. It had defined widespread gold mineralisation at Three Bears; a 40 metre wide mineralised zone including 12m @ 1.19 g/t, 40m @ 0.36 g/t Au & 36m @ 0.47 g/t Au. At the same time, thick zinc mineralisation with defined at the company’s key Rutters Zinc prospect. 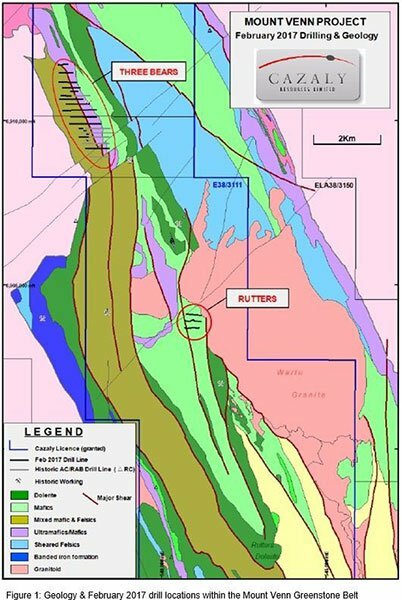 At Rutters, zinc-rich mineralisation was defined with intercepts including: 39m @ 0.23% Zn, 40m @ 0.12% Zn & 13m @ 0.25% Zn. In addition, the anomalism at the prospect occurs within a felsic volcanic pile... which means there’s potential for a VMS style metals deposit. Just to remind you, this is all happening just 40 kilometres west of Gold Road Resources’ world class Gruyere gold deposit — 148Mt @ 1.30 g/t Au for 6.16M oz. 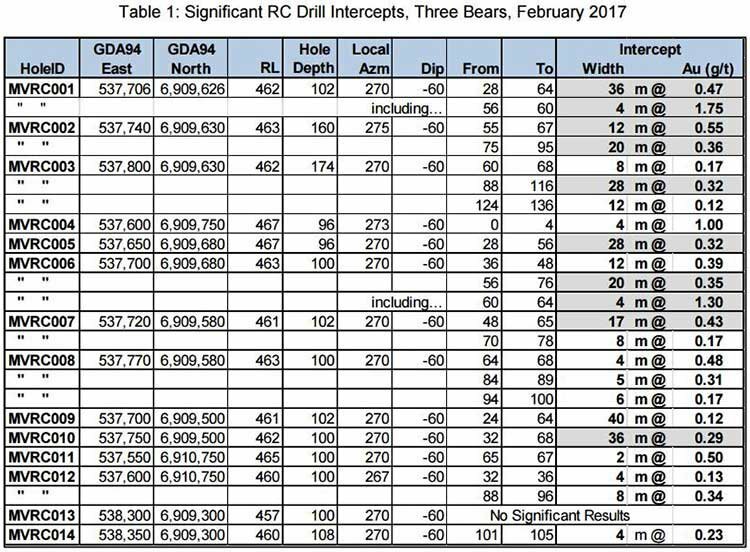 The initial drilling programme comprised 94 aircore holes for 4,171 metres, 30 RAB holes for 970 metres and 14 RC holes for 1,438 metres at the Three Bears and Rutters prospects. Through the existing information at hand, CAZ planned a programme which would primarily target gold mineralisation. At Rutters, the company hit on both gold and zinc... along with elevated silver and arsenic plus anomalous copper and lead. Extensive zinc mineralisation was found coinciding with gold, arsenic, silver, copper and lead within a felsic volcanic pile — all of which are encouraging hints that CAZ could be in possession of primary VMS (volcanic massive sulphide) mineralisation. If you know anything about base metals, you’ll know that’s a definite positive. CAZ should be feeling pretty encouraged by these findings at such an early stage. 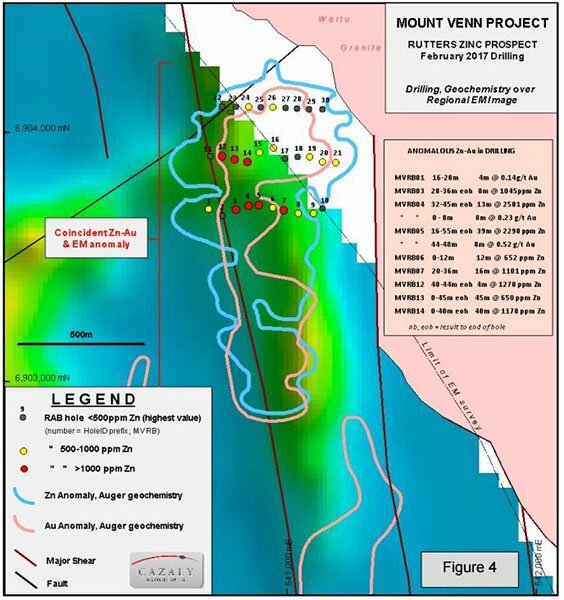 After all, this is its maiden drilling programme at Mount Venn, and it has provided confirmation not only of extensive gold mineralisation but also some key hallmarks of significant VMS zinc mineralisation. Considering the large size of the project, especially in relation to the market cap of the company, there is huge potential for CAZ to take off at the first sign of a major story coming out of Mount Venn. Of course, like all speculative stocks, success is no guarantee, and it depends on a number of factors, some of which are outside of the company’s control – so always invest with caution. With some promising and extensive gold and zinc plays well and truly in train, CAZ has no plans to sit back and hope for the best. Proactive is the key word here, and that’s what will be required if management are hoping to get ‘up there Cazaly’ as the famous footy anthem goes. So rather than simply usher through its gold and zinc ambitions, CAZ has updated its package to include exposure to graphite, copper, cobalt and lithium. More than just a diversifying safeguard, these could all grow into standalone key position players... which CAZ would be hoping it can unify into a top shelf team to become the next big name in base metals. Let’s look at these opportunities one by one. 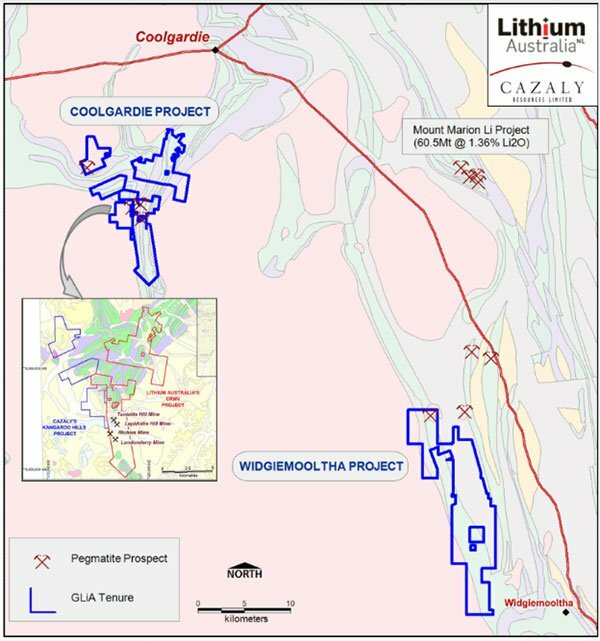 CAZ entered into the “Goldfields Lithium Alliance” with Lithium Australia NL (ASX:LIT) for the sourcing and development of lithium projects in the Goldfields region of Western Australia. 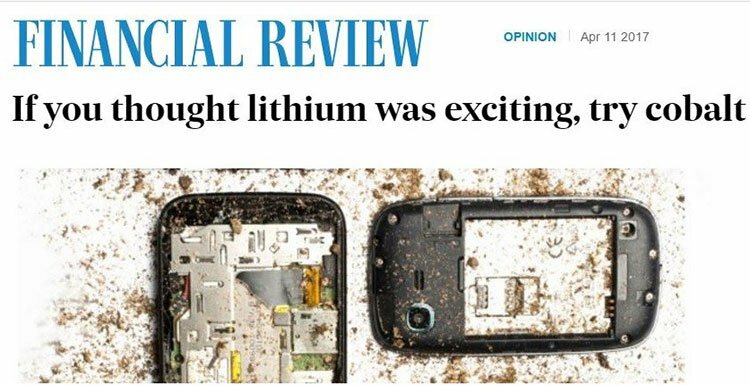 The majority of investors would likely be well informed on the importance of lithium to lithium ion batteries in the metals market right now, so we don’t need to spend long rehashing it. It’s hard to see an end in sight for lithium and graphite as renewable batteries become a key part of energy storage and consumption. And a plucky explorer like CAZ isn’t going to let an opportunity like that go to waste. Although, it should be noted that commodity prices do fluctuate and caution should be applied to any investment decision here and not be based on anticipated future prices alone. Seek professional financial advice before choosing to invest. CAZ announced in late March it had lodged an application for a nickel-cobalt Resource in the New England Fold Belt, NSW (about 10km from the coastal town of Port Macquarie). 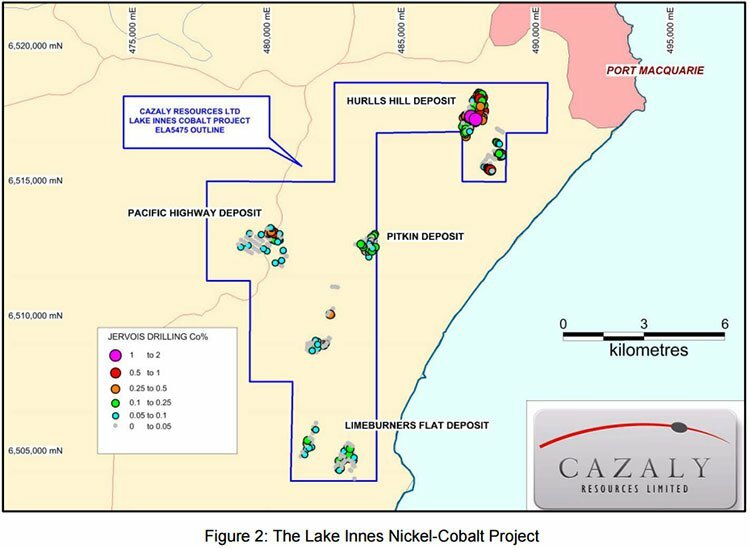 The Lake Innes project boasts Indicated surficial Resources potentially amenable to open pit mining totalling 10.6Mt containing 86,000t nickel and 12,500t cobalt. 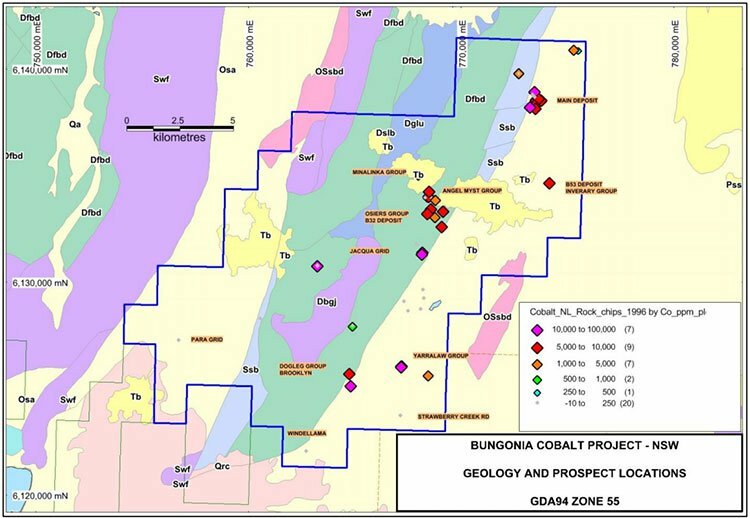 CAZ already has two existing cobalt projects with granted exploration permits in QLD and NSW, both of which show promise. Its Mount Tabor project covers 20 kilometres of known cobalt-manganese mineralisation in South Central Queensland. The project extends for approximately 30 kilometres with several small but significant pods of known mineralisation and multiple prospects including: Mt Manganese, Mt Gould, Alpha, Mt Bally-Lethbridge, Mt Emily and Carnarvon. Previous rock chip sampling done at Bungonia returned grades up to 1.8% cobalt. While it’s thought to contain nickel and copper as well, cobalt is the main star of this show – and the area has been mined before, dating back to as early as the 1890s. The exploration by previous companies and CAZ indicate a high potential for small to modest-sized cobalt ore bodies contained within manganiferous grits, many with the potential to extend. 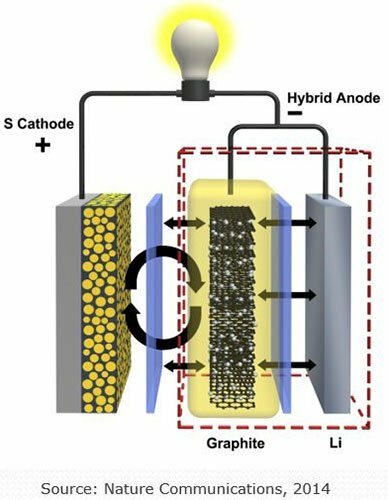 We’ve looked at the company pipeline as far as lithium and cobalt, but there are now graphite fingerprints all over the green energy story as well. Which probably explains why CAZ has a graphite play in the Kimberly region of WA too. Its McKenzie Springs nickel-graphite project is about 15 kilometres strike of graphite bearing stratigraphy with preliminary exploration returning high grade graphite surface samples such as: 22.4 – 23.9% TGC. The defined mineralisation at McKenzie Springs is largely Coarse Flake Graphite (65% >300 μm). The mineralisation is also prospective for copper, which doesn’t hurt. 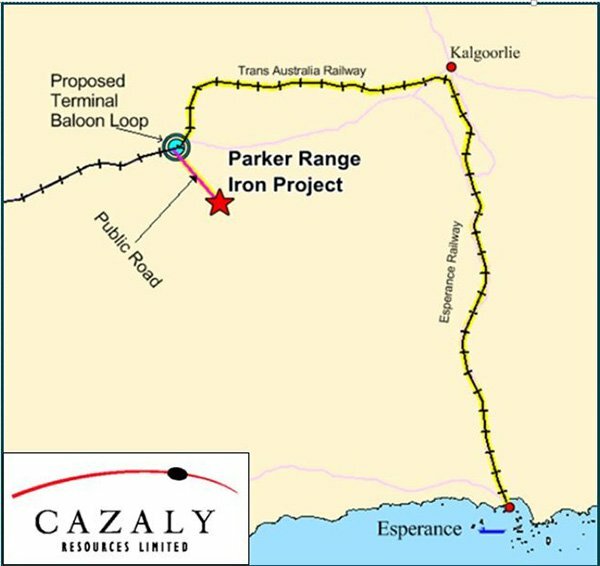 CAZ has 100% ownership of an Iron Ore mine-ready deposit called Parker Range, located in the Yilgarn of Western Australia around 400 kilometres east of Perth. The Resource estimate for the Mount Caudan deposit at the project is currently 35.1mt @ 55.9% Fe (61.4% CaFe). The resource contains two primary ore-types; a haematite–goethite Banded Iron Formation (BIF) and a smaller component of secondary Canga and Detrital ore. The feasibility studies for this project are completed, and all approvals received... with an outlook of around 8-9 years mine life. Some of its key selling points are the fact the ore is ultra-low in phosphorous (and therefore highly marketable), and its proximity to major infrastructure including existing road, rail and port access. With an eye to ramp up production to 4.2Mtpa, this project could be brought into top priority position at any time. While CAZ is focused primarily on its Mount Venn gold project, the existence of a mine-ready project like Parker Range makes for an excellent addition to a small-cap company’s portfolio. Beyond Parker Range, CAZ also has a VMS Copper project in the Kimberly, and a partial interest in uranium projects in the Czech Republic. Ultimately, CAZ has a deep portfolio that provides exposure to multiple heated metals markets. To have that kind of optionality across a huge range at a time when metals are showing all the signs of a widespread recovery is a very firm footing for a $8.5 million market cap company. All of that is a lot of diverse information to take in, so getting back to CAZ’s foremost gold prospects for a moment – its Mount Venn Gold project is situated in one of the most underexplored greenstone belts in WA (where most of the historical work has focussed on nickel, not gold). 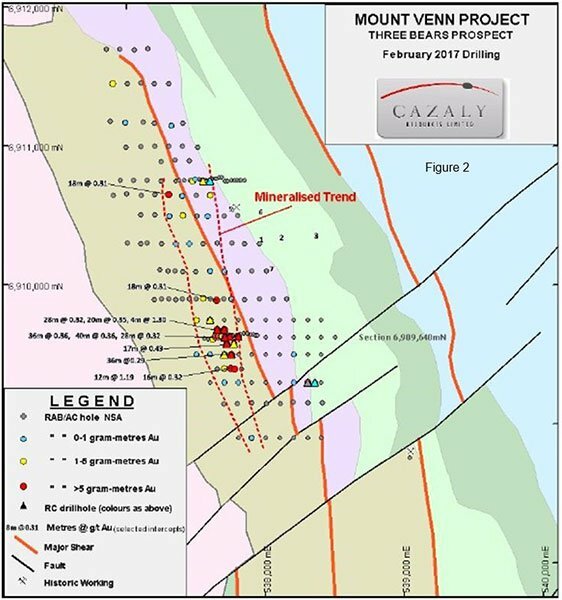 CAZ’s project represents an underexplored yet prospective tenement with high potential, walk up drill targets already identified and initial drilling results returning impressive grades already. And of key importance: the company is set for another round of drilling in mere weeks, which will explore camp scale targets. The potential in each one of CAZ’s long list of projects seems to indicate room for a fair bit of upside, depending on exploration results and market sentiment for its commodities. With plenty of news flow expected in the next 4-8 weeks, including the next round of drilling kicking off, considerable share price movement is well within the realm of possibility. CAZ has a long way to go before reaching its final destination, but it has clearly packed as many essentials as possible, leaving it with a lot of options and any number of paths to goal which could all lead to Grand Final success.